The Best Funny blogs from thousands of top Funny blogs in our index using search and social metrics. Data will be refreshed once a week. Also check out Funny and Comedy Podcasts and Funny Videos from Top 100 Funny Youtube Channels. 2.14 I Can Has Cheezburger? 2.38 Bored a lot? – Cure Your boredom Now! 2.41 Damn You Auto Correct! 2.47 Lowering the Bar - Legal Humor. Seriously. 2.58 Laughbreak.com-The Best Place for Clean Jokes and Useless Facts! 2.91 My Odd Sock | A funny look at life with a limp. Funny newsletter is a comprehensive summary of the day's most important blog posts and news articles from the best Funny websites on the web, and delivered to your email inbox each morning. To subscribe, simply provide us with your email address. About Blog 9GAG (9gag.com) is your best source of fun. Follow 9GAG a place for best funny pics, gifs, videos, gaming, anime, manga, movie, tv, cosplay, sport, food, memes, cute, fail, wtf photos on the internet! Facebook fans 39,998,556. Twitter followers 14,832,700. Markham, Ontario, Canada About Blog Lilly Singh aka Superwoman is a Toronto based entertainer who has acclaimed worldwide fame through her YouTube videos. She is a sassy South Asian female that makes you laugh, makes you think and most importantly, makes you feel good. Lilly does everything from creating videos to stand-up comedy and motivational speaking. Facebook fans 3,119,420. Twitter followers 5,815,799. Hollywood, California About Blog Funny Or Die is a comedy video website that combines user-generated content with original, exclusive content. The site is a place where celebrities, established and up-and-coming comedians and regular users can all put up stuff they think is funny. Facebook fans 15,257,248. Twitter followers 13,854,480. United States About Blog Follow FailArmy the world’s number one source for epic fail videos and hilarious compilations. We’re powered by fan submissions and feedback from all around the world, with over 30 million fans across digital platforms. Facebook fans 16,912,392. Twitter followers 56. Los Angeles About Blog Hi I'm Bart! I'm the king of music video parodies! SUBSCRIBE and I'll make it worth your while. Facebook fans 1,131,829. Twitter followers 1,273,762. Montreal, Quebec, Canada About Blog Just For Laughs Gags is the best hidden camera pranks channel on YouTube. Our videos are some of the funniest and best pranks ever posted on the web. Facebook fans 5,117,368. Twitter followers 28,990. About Blog America's Funniest Videos (AFV) is America's longest running funny video television program. We've been collecting funny viral videos since 1989. Here you’ll find funny videos, viral videos, prank videos, funny animal videos, funny baby videos, classic videos, and the best compilations and music montages of some of the funniest videos you've ever seen. Facebook fans 15,006,067. Twitter followers 88,689. About Blog College Humor Media delivers daily comedic content, including videos, pictures, articles and jokes, created and/or curated by the College Humor staff. Facebook fans 8,429,895. Twitter followers 1,022,702. Austin, Texas About Blog theCHIVE is a photo-entertainment website independently owned and operated by Resignation, LLC. Images and videos appearing on theCHIVE.com are selected by staff to offer the great humor and entertainment to the end user. Check out our daily feed of the most humorous stuff on the web. You'll never be bored at work again. Ever! Keep Calm and Chive On! Facebook fans 3,776,769. Twitter followers 573,026. New York, NY About Blog Dorkly is a videogame comedy site featuring funny articles, viral videos, video game comics, pictures, and original animations! Facebook fans 1,586,074. Twitter followers 57,737. About Blog A standup comedian Joe Rogan talks about politics in a silly and a comedy way. The podcast has a menagerie of ideas, concepts, conversations and deep dives in the roots of the topic. Facebook fans 2,082,716. Twitter followers 4,482,101. Mumbai About Blog Faking News is the leading Indian news satire and humor website. It contains cutting edge satire on political and social scenario of India. The website publishes fake news reports with incisive sarcasm, satire, and humor. Facebook fans 1,204,570. Twitter followers 1,582,625. San Francisco, CA About Blog Welcome to r/Funny: reddit's largest humour depository. Facebook fans 1,209,602. Twitter followers 575,841. 14. I Can Has Cheezburger? About Blog Original funniest cat interwebs on the online. Made from the finest internets and where cats go to get famous. Facebook fans 906,960. Twitter followers 1,481,262. California About Blog Bringing you Smoshy Goodness since 2005! Smosh is the home of the best funny videos, games, photos, memes, blogs and galleries online. Smosh is the brainchild of Anthony Padilla and Ian Hecox, and Smosh.com focuses on everything humorous, funny, or awesome from around the web. Facebook fans 6,947,285. Twitter followers 3,324,461. Las Vegas, Nevada About Blog The Hillywood Show® is the brainchild of internet celebrities, comedy sister duo Hilly & Hannah. Here you will find parody on movies and TV shows. Facebook fans 230,197. Twitter followers 114,135. About Blog Bored Panda is a leading art, design and photography community for creative people. Our submission platform helps artists and creators turn their stories into must-read viral content. Facebook fans 15,241,814. Twitter followers 141,778. About Blog Pleated-Jeans is a humor site dedicated to one simple goal: making you laugh. From cats and graphs to odd photos and straight up funny pic dumps, you'll find it here on Pleated-Jeans. Facebook fans 130,899. Twitter followers 79,804. Los Angeles, CA About Blog Just a boy being himself and trying to make you laugh. Follow and enjoy the videos and music you love, upload original content. Facebook fans 37,817. Twitter followers 77,147. About Blog Follow this blog to get handpicked collection of hilarious pictures. Incredibly awesome source of humorous, unusual and bizarre images. Facebook fans 32,984. Twitter followers 2,823. India About Blog Watch the complete collection of hilarious cartoon shows where children will laugh out loud as they watch the funny Gazoon, the educational I am a Dinosaur & many more cartoons along with colorful nursery rhymes with Cup & Cake!!! Facebook fans 299,737. Twitter followers 17,512. New Delhi, India About Blog Twinkle Khanna aka Mrs Funnybones crafts satirical stories and funny fables. Facebook fans 31,515. Twitter followers n/a. New Delhi About Blog Browse through Humour Blogs, News, Articles, Expert Opinions & more on Times of India Blog. Find latest news and articles on Humour. Facebook fans 34,546. Twitter followers 11,378,103. NYC About Blog Funny place for funniest things : funny pictures, funny gifs, funny comics, funny movies, funny youtube videos. Facebook fans 83,473. Twitter followers 225. About Blog America's Finest News Source. It is a parody news website. The Onion is a Peabody award-winning news source founded in 1765 by Friedrich Siegfried Zweibel. T. Herman Zweibel. Many consider him the “Father Of American Journalism,” also the title of his well-known 1943 biography, written by Norman Rombauer. Facebook fans 6,571,949. Twitter followers 11,042,759. About Blog A comic about video games and the gamers that play them. Facebook fans 22,331. Twitter followers 26,009. Facebook fans 135,331. Twitter followers 15,975. Facebook fans 3,361,678. Twitter followers 173,379. Spokane Valley, WA About Blog Posting literally hundreds of new pictures daily. Dumpaday is working hard to help you pass the time between main events in your life. Facebook fans 65,940. Twitter followers 4,044. Facebook fans n/a. Twitter followers 9,217. About Blog SadAndUseless.com was created in 2009 as a sad attempt at humor. And to this day it still is the same old useless site it was meant to be. Facebook fans 356,765. Twitter followers 8,089. About Blog The Internet's most horrible items. A daily blog. Facebook fans 12,489. Twitter followers 67,666. About Blog At Viral Viral Videos you can find the latest and best videos, memes & gifs that are on the verge of going viral in 2017. Facebook fans 47,689. Twitter followers 26,084. About Blog DevHumor is a community of developers who post photos, memes, gifs and videos for their peers entertainment and amusement. Facebook fans 36,031. Twitter followers 3,950. Texas Hill Country About Blog Jenny Lawson has been blogging about her strange little life for almost a decade. It’s mainly dark humor mixed with brutally honest periods of mental illness. Facebook fans 185,865. Twitter followers 477,558. Facebook fans 7,038. Twitter followers 84. 38. Bored a lot? – Cure Your boredom Now! About Blog A website dedicated to curing your boredom and making your day a little more amusing. Feeling Bored? then this is the website for you, a selection of funny websites, pointles websites, mischievous websites and WTF websites. Facebook fans 580. Twitter followers 26. About Blog Curating the best of what’s trending online. Facebook fans 484,413. Twitter followers 790,695. San Francisco, CA About Blog Petcube is for everyone who loves pets. We're sharing pet-related stories, wellness tips, adoption tales, and adorable pics and videos of pets from all over the globe. Facebook fans 160,511. Twitter followers 16,029. 41. Damn You Auto Correct! About Blog It shows some of the funniest autocorrect fails. Facebook fans 427,734. Twitter followers 20,679. Las Vegas, Nevada About Blog Medical humor, funny healthcare videos, medical rap parodies & more from ZDoggMD — doctor, international healthcare speaker, and off-white rap superstar. Facebook fans 719,204. Twitter followers 28,021. About Blog LeFunny.net - We love to entertain you with Funny Pictures | Funny Quotes | Funny Jokes - Photos, Images, Pics! Facebook fans 191,887. Twitter followers n/a. About Blog Humor blog about all kinds of things funny and not only. Mostly funny pictures, funny videos, jokes, Internet culture and other unusual stuff from the intertubes. Facebook fans 853. Twitter followers 85. About Blog Jokes of the day - collection - Follow blog to get daily dose of jokes to make people laugh. Facebook fans 42,397. Twitter followers 20,765. Lucknow, India About Blog CricketTrolls.com offers funny trolls, memes and news related to ongoing cricket events. Facebook fans 1,483,991. Twitter followers 5,667. 47. Lowering the Bar - Legal Humor. Seriously. California About Blog Lowering the Bar is a legal-humor website that provides and comments on weird news with some relationship to civil or criminal law. It also provides an archive of the many legal opinions, pleadings, and other legal documents that are funnier (intentionally or not) than they have any right to be. Facebook fans 1,583. Twitter followers 8,219. US About Blog FunnyAnd have a huge collection of latest funny pictures, jokes, funny comics, memes, funny quotes, images, and photos at our funniest site on the net! Atlanta, GA About Blog It is an online comedy publication featuring enlightening and irreverent comedy articles daily. Our goal is to make you laugh; if that also means rubbing you the right way, the wrong way and a new way, our apologies, we thought you were a genie. Facebook fans 3,283. Twitter followers 6,752. About Blog HumorOutcasts.com is a place to write, laugh and think. It is the result of a brainstorming session between several humor writers who longed for a site that would allow them to push the envelope and spread their creative wings. On this site you will find humorists, stand-up comics, entertainers, cartoonists and writers of serious subject matter – all who believe in the power of humor. Facebook fans 1,510. Twitter followers n/a. About Blog The internet has generated a huge amount of laughs from cats and fails. And we all out of cats. Facebook fans 824,261. Twitter followers 44,960. Brooklyn, NY About Blog By people who love charts. For people who love charts. Facebook fans 14,360. Twitter followers 18,255. About Blog Only funny posts with 1,000 notes or more. The largest humor blog on Tumblr. About Blog Wackyy is an amazing collection of funny images and funny videos, fantastic cars and beautiful celebs, creative ads and fun games. Enjoy! Facebook fans 10,539. Twitter followers 536. About Blog Find Your GIFs | Funny, Fail, Animals, Cats, Dogs, Cars, GIF, Random GIFs, Best GIFs and much more..
Facebook fans 812,702. Twitter followers 15. About Blog Funny Signs collects funny and strange signs from around the world that you can browse, rate and review. Browse popular categories such as Warning Signs, Road Signs, Restaurant Signs, Bathroom Signs and Church Signs. Facebook fans 20,489. Twitter followers 543. About Blog The Best Place for Clean Jokes and Useless Facts! 58. Laughbreak.com-The Best Place for Clean Jokes and Useless Facts! About Blog If you're having a rough day, you need a Laugh Break. Hilarious stories. Some are true, some are not, but they’re all funny. Follow the Best Place for Clean Jokes and Useless Facts! About Blog The FailDesk is a humor site dedicated to all the IT professionals out there who work so tirelessly and diligently to make sure “the system stays up. Facebook fans 5,623. Twitter followers 353. About Blog For when the facts are too confusing. Fake Science is a less than factual guide to our amazing world. Featuring all the questions that are too hard to answer, we explore what seems like the truth in breathtaking detail and with a total lack of research. After all, if it looks true, it might as well be true. Facebook fans 444,889. Twitter followers 31,959. Gurgaon About Blog The blogger writes about the daily things that everyone faces. Because of her keen observation and take on life, she takes all her experiences and presents them in a humorous way. Even her angry ranting is able to make us laugh out loud. Facebook fans 1,067. Twitter followers 20,506. Facebook fans 34. Twitter followers 157. About Blog A family-friendly online blog/magazine, which posts cool, funny, amazing, extraordinary, or simply odd links, photos, and articles daily. Facebook fans 4,546. Twitter followers n/a. So Cal About Blog Motherhood is funny. Desiree Eaglin writes real and funny stories, helpful reviews and easy recipes to celebrate motherhood and to make the most fun out of parenting as possible. Facebook fans 3,770. Twitter followers 17,323. About Blog A collection of funny gifs. Facebook fans n/a. Twitter followers 66,037. About Blog New and original funny post and videos daily! About Blog A dose of entertainment, a lot of humor, a bit of philosophy. Facebook fans 156. Twitter followers 5. Facebook fans 675. Twitter followers 124. About Blog The India Satire is India's one of leading news satire, sarcasm, humour, fun and parody blog portals. It publishes satirical articles on politicians, tycoons, cricketers, bollywood celebrities and prominent personalities. Facebook fans 5,104. Twitter followers 1,023. Brooklyn, NY About Blog Matt Ruby's comedy blog. It's got jokes, podcasts, videos, yappin' about standup, etc. Facebook fans 181. Twitter followers 12. About Blog Great collection of memes that I like, updated whenever I get a chance to feel like it. I do not own the rights to these unless stated otherwise. Facebook fans n/a. Twitter followers 18,363. About Blog All pictures posted on this site are screenshots I took, and all gifs are made by me. Each post contains the anime name and episode that the picture came from, so if you see something you like, go watch the show. About Blog Rage comics, Memes and Everything Funny. Follow for your daily dose of entertainment. Facebook fans 21,619. Twitter followers 3. Facebook fans 1,315. Twitter followers n/a. About Blog Funny Jokes, Pictures and Videos. Hilarious one-liners, blonde jokes, yo' mama jokes, knock-knock jokes, clean jokes. Facebook fans 8,600. Twitter followers 1,884. About Blog Robert J. Elisberg is a Los Angeles-based screenwriter, novelist, Huffington Post columnist and tech writer. Elisberg Industries provides thoughtul and often humorous insights into news, entertainment and much else in between. About Blog Welcome! I’m Natalie, and this is a collection of funny anime gifs and pictures. About Blog Mr. Mystery is a generic name that encompasses various collaborators specialized in the subject of the supernatural or paranormal, each of them with his personal criterion in this regard. This criterion ranges from rigorous scientific skepticism to the most naive credulity. About Blog Laughing for 10 minutes is good for your abs and muscles, follow me for an intense workout! United States About Blog Funny commercials from all over the world. Get inspiration from the best advertisements ever created. And remember that commercials turn our world in a funny. Facebook fans 164. Twitter followers 911. About Blog Epic fails, funny videos and other crazy compilations that are coming up every week. United States About Blog Funny songs and worldwide famous nursery rhymes for children and family plus lots of other surprises. Switzerland About Blog Funny Vines,funny falls. Facebook fans 545. Twitter followers 62. About Blog Life Awesome is a YouTube channel that focused on delivering the best funny videos; entertaining fails videos, try not to laugh, and much more. Facebook fans n/a. Twitter followers 193. About Blog Funny Vines brings you the best comps from the funniest top Viners. About Blog Break brings you the best viral videos, funny photos, and comedy content on the web. Our daily mission: Make the internet break again and again. Our humor hits hard and we take no prisoners. There's no Geneva Convention of Comedy! Facebook fans 5,919,627. Twitter followers 47,916. 91. My Odd Sock | A funny look at life with a limp. Ohio, USA About Blog My Odd Sock is my glimmer of inspiration, a creative dream of a lifetime! A funny guy with multiple sclerosis. MS confirmed by MRI. Funny still up for debate. About Blog A blog revolving all around the humorous side of Dir en grey. It’s supposed to be a happy place, so I hope the content on here will make you smile! You’ll find pictures, gifs, interviews, videos, stories, audios and sometimes some memes or macros here. Orlando, Florida About Blog Laughing Stalk is a weekly newspaper humor column about current events and personal observations. It's published in ten weekly newspapers and the world's first online alt newspaper, The American Reporter. Facebook fans 119. Twitter followers 18,852. Antarctica About Blog ANTARCTICA DAILY is the intersection of COMMON SENSE and SENSE OF HUMOUR! Facebook fans 456. Twitter followers 754. About Blog Hilarioo is the world's most hilarious place. We share funny photos, hilarious videos and interesting articles that will boost your mood all day. Facebook fans 1,277. Twitter followers n/a. About Blog Funnykey.com is hilarious website with thousands of funny memes, funny quotes, funny pictures, funny jokes, comics and other fun stuff! Facebook fans 2,876,959. Twitter followers 32,297. About Blog - Imgur is the best place to share and enjoy the most awesome images on the Internet. Every day, millions of people use Imgur to be entertained and inspired by funny, heartwarming and helpful images and stories from all around the world. Facebook fans 1,291,990. Twitter followers 186,389. About Blog In our blog, we hope to expand on common sense, to clarify some things, to debunk some others. We hope to help you see the complex can be made simple, that it should be made simple. Facebook fans 299. Twitter followers 72. England About Blog The best funny short jokes because reading is too hard! Offensive jokes are encouraged and only the funniest jokes are selected. Find the best top rated funny short jokes. Facebook fans 600. Twitter followers 36. About Blog An Unconventional Existence is a blog where its author Jannelle Stephens writes about hilarious stuff with the help of pictures and musings. To get more on this, subscribe with us. Staffordshire,England About Blog Carol E.Wyer is an Award winning humorous author and blogger. This blog is must read and highly recommended for womens as it is the perfect blend of humour and excellent advice to help all women sail through the menopause. Facebook fans 1,460. Twitter followers 8,059. About Blog Jokes on math that you can read. About Blog This blog is written by Anuj Mathur, a software developer by choice. Most of the software people tend to end up talking about humor. There has been a big mistake by anyone who has not yet visited this blog. It is a light hearted incidental humor blog which puts a grin on your face more often than not. About - HuffingtonPost articles and funny news. About - Workrant is an anonymous sounding board for you to release all that stress you have been holding on to about your job, boss, colleagues and clients. 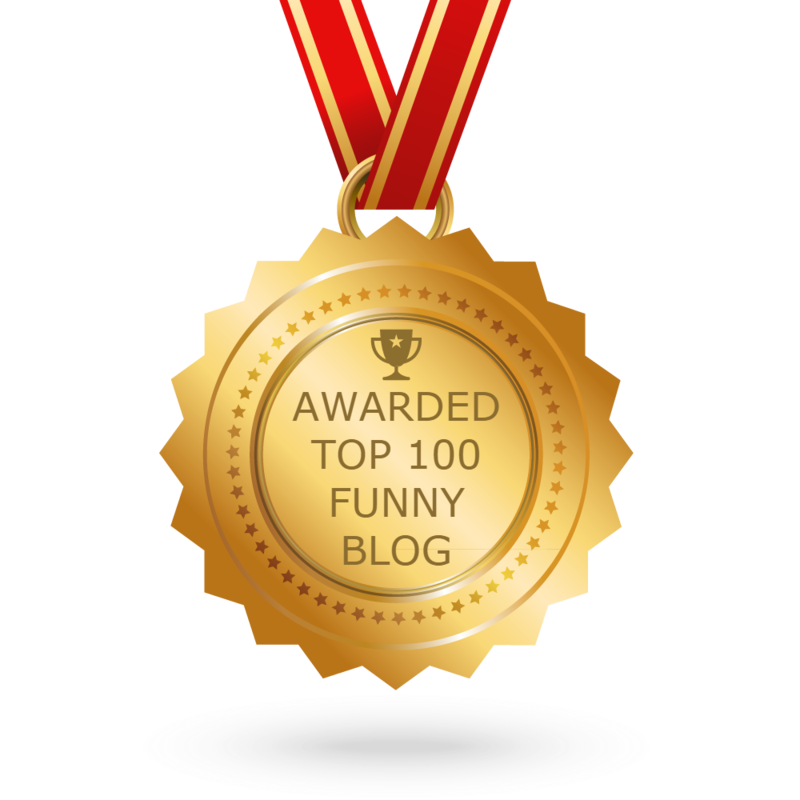 CONGRATULATIONS to every blogger that has made this Top Funny Blogs list! This is the most comprehensive list of best Funny blogs on the internet and I’m honoured to have you as part of this! I personally give you a high-five and want to thank you for your contribution to this world.